I have a house full of boys (even the cat is male), which means our one bathroom is literally now the little boys’ room – and boy does it stink like one. It started when my eldest was toilet training and unfortunately the bathroom hasn’t recovered since. Little boys and toilets do not mix. 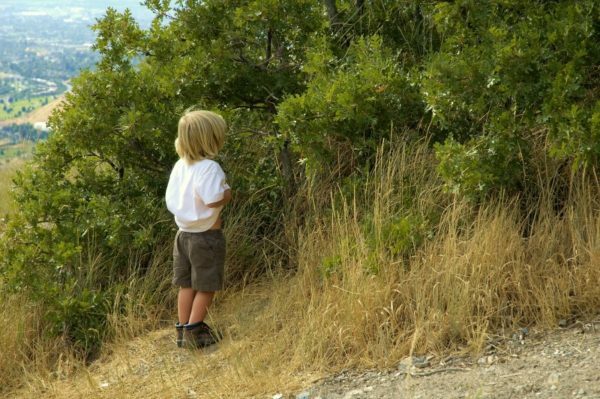 Despite proper training, watching Daddy go, and reminders after accidents – they still manage to miss and most of the time aren’t even aware that they have, meaning my trips to the bathroom are often met with a nice yellow puddle under foot. Throw in the ton of toilet paper boys apparently need when doing a number two, the puddles of bath water splashed over the floor and their regular trips to the sink to wash toy cars (and goodness knows what else) and the bathroom quickly becomes a constantly damp, urine scented room decorated with strips of toilet paper and piles of wet towels and undies. Heaven! As much as it pains my environmental conscience, wipes are essential if you want to get rid of wee spills quickly. You need to stock up and have them at the ready always. Be mindful that even the so-called flushable ones aren’t really designed for the sewage system, so best to put them all in the bin. 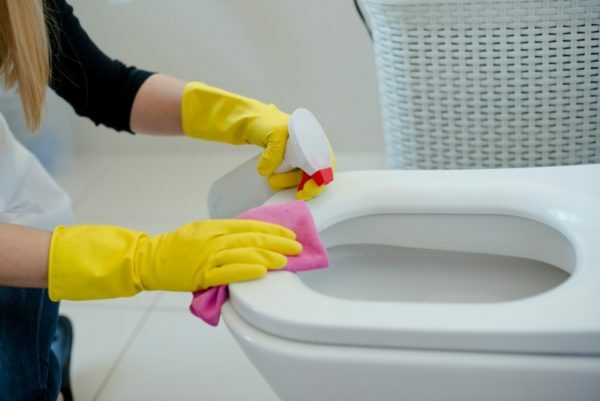 Another option of course is to use paper towel or a cloth and spray, or a mop; but unless you’ve got a big bathroom they’re not going to be as quick or handy to use. 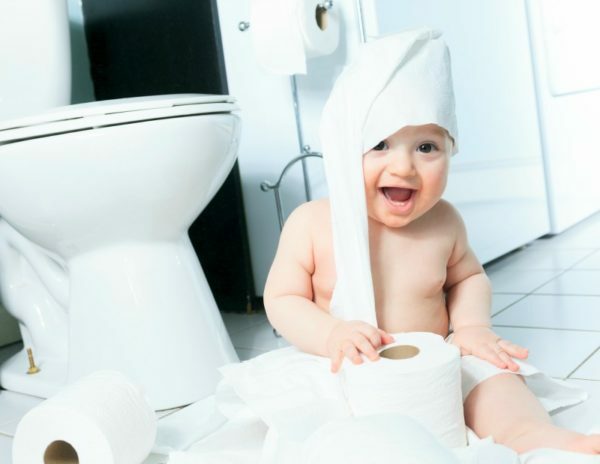 Make sure all your toilet cleaners, shower and surface sprays are easily accessible in the bathroom (but locked away from little ones) – ready to use when you have an extra two minutes while in there. I try and do a bit when I’m watching my youngest in the bath, but only while I’m still within reach and view of him. For a proper go at it, it’s best to wait until everyone is asleep. Next up is the obligatory bathroom freshener for people to use after number twos, or when the bathroom needs a quick refresh. I choose eco ones with super strong scents like lemongrass or peppermint – no wishy washy vanilla is going to work here. The same goes for the liquid hand wash. But if you think these are going to be enough to hide the little boy stench (even if you also scrub the toilet every day) then think again. 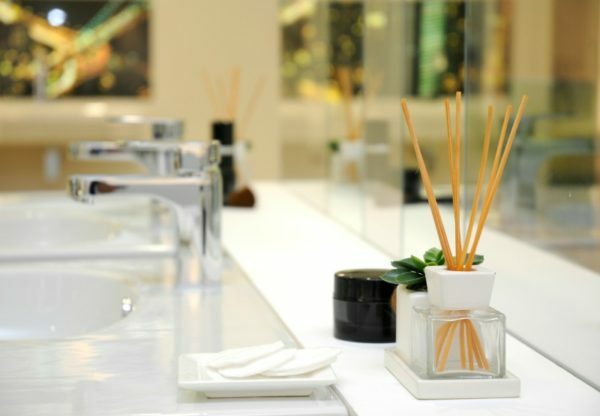 You’re going to need an array of different scents on hand – read on. Gel inserts that stick to the insides of your toilet bowl will be your new best friend. Not only do they keep it clean but they also release a lovely scent with every flush – set and forget, too easy. A word of warning though, some little boys will find cause to rob you of even this simple odour fix. Toddlers will want to reach in and grab the shiny blue glob, and older boys will use it for aiming practice which will make the gels fall off (defeating the whole purpose). Persist if you can, you can’t afford to lose even one odour-zapping tool from your toolbox. These are the real winners! You simply pop the wooden sticks into the diffuser and they work their sweetly-scented magic all day and night long. Again, you’ll need to choose a super-strong scent for maximum cut-through. My personal favourite is mango daiquiri scented and it packs a powerful punch with the added bonus of making me feel like I’m in Ibiza. You’ll need to tell the kids the sticks are off limits of course (or put them up high on a shelf). I also like to use nice smelling candles when we’re entertaining, but they’re not practical most of the time. Young kids will want to grab that fire and you don’t want to burn the house down, so wooden diffuser sticks are the way forward. Our two eldest aren’t tall enough to reach the towel hooks yet but we’ve trained them to hand their towels to us after drying themselves, to avoid them being left on the floor. They also know not to take their clothes off in the bathroom (outside the door is the go), and to leave the bathroom door shut at all times, so the baby doesn’t get in there and create havoc. They’re also not allowed to use the toilet brush because there is no way that little kids can successfully scrub the toilet without making an almighty mess. This is one job best left for you or dad to do. One less bathroom trip = one less mess! One less loo visit is one less mess for you to clean up right? When it’s warm weather and they’re already outside and busting for a wee, let them go in the bushes because by the time they make it inside to the toilet, they’ll probably end up having an accident anyway. Why not avoid it while you can?! 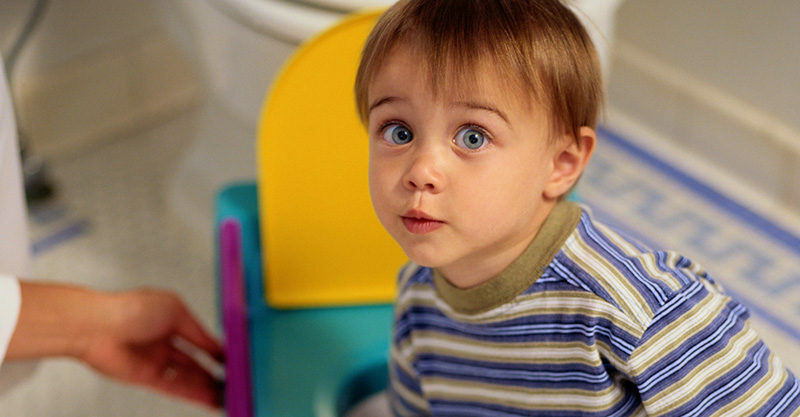 What are your tips for cleaning the little boys’ room?